Played with Centre Federale du Basketball (2007-09). Signed for the 2009-10 season by ES Chalon-sur-Saone. Moved to Spain in November'12, signed by Valencia CB. In December'12 moved to Serbia, signed by BC Partizan Belgrade. In March'15 signed by Denver Nuggets. Signed for the 2016-17 season by Oklahoma City Thunders. In February'17 traded to Chicago Bulls. Signed for the 2017-18 season by San Antonio Spurs. 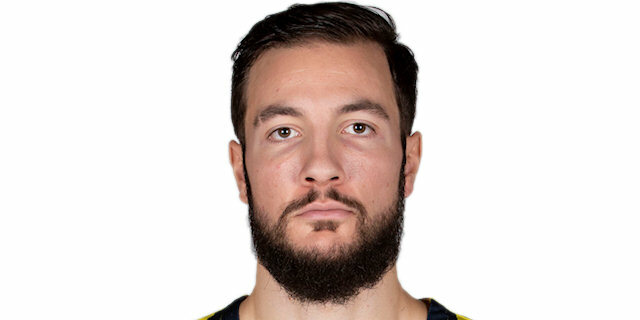 Moved to Turkey for the 2018-19 season, signed by Fenerbahce Istanbul. Led the 2013-14 Euroleague in rebounding (8.6 rpg.). Has been member of the French U-16 and U-20 National Team.